Richard Allinson and Steve Levine look at the work of Pink Floyd with access to original recordings and contributions from David Gilmour, Nick Mason, Joe Boyd and others. Amongst the contributors to the programme are Joe Boyd, Floyd's producer for their first single Arnold Layne; John Leckie, who engineered the band's album Meddle; and Clare Torry, whose vocal performance on The Great Gig In The Sky is one of the highlights of Dark Side Of The Moon. 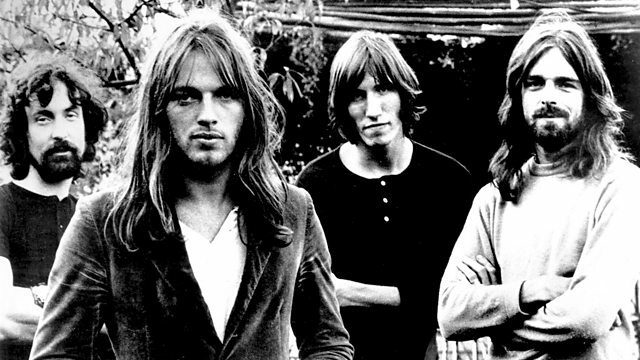 There are new interviews with guitarist David Gilmour and percussionist Nick Mason, and Richard and Steve have access to the original multitrack recordings of some of Pink Floyd's best work from this period. These highlights include the four track tapes of Arnold Layne; their masterpiece Echoes (which began as an eight track recording - but later expanded to 16); the 16 track recordings of Money and Great Gig In The Sky from the seminal Dark Side. album, and 24 track recordings from their 1975 release Wish You Were Here, including the epic Shine On You Crazy Diamond. Exclusive to the extended version of the programme for 6 Music is an in-depth look at the recording of the song Breathe, from Dark Side Of The Moon; as well as the discovery of an early recording which Steve Levine found by accident hidden on the Arnold Layne tape! With a few extra surprises along the way, this edition of The Record Producers is not only an unmissable programme for Pink Floyd fans, but also a "must listen" for any lover of quality popular music.